I hope you had a good laugh at that title. As we all know, the books you read don’t make or break your identity, but when I was a baby goth buying my first pair of boots on Pennangalon I thought I had to know all the things. The idea of engaging in a conversation with another goth only to be exposed as a noob intimidated the crap out of me before I even logged onto the forums. As a reader, my curiosity latched on the books as quickly as my crosshair found Siouxsie. In my experience, if you ask a roomful of goths what they’ve read recently, you’ll be blasted out of said room by a cacophonous din. Goths are a well-read bunch and, chances are, you can make a bookish connection with one no matter the genre or level of darkness. But I posed the question to learn what the alt-inclined do or did associate with gothdom–what they would list in their goth canon–and this is what I got. I clung to the works of Poe in my earliest days as a goth. I was thrilled to have one author I could discuss with my peers and I didn’t even have to try with this one. “I read Poe in elementary school,” I wanted to shout in all the cake makeup faces, blurting my social anxiety with a spray of spit. I had asked my parents to buy a bargain bin copy of his complete works and, through it, explored the studio space of my morbidity. It’s been a while since I read a Poe, but I’ve got my eyes on the Gris Grimly-illustrated Edgar Allan Poe’s Tales of Mystery and Madness. It probably doesn’t come as any surprise that vampires are popular among the goth set…all pale faces and frilly shirts once upon a time. VHS tapes of The Lost Boys breathed a sigh of relief in every goth household the day Interview with the Vampire was released on video. I won’t deign to hypothesize about how many read Interview with the Vampire versus watched the movie, much less attempt to calculate the percentage of goths who have read the complete Chronicles (I am not one), but Anne Rice was as ubiquitous an element of goth culture as Lestat club cosplay. Anyway, somebody had to hate/buy the “Queen of the Damned” soundtrack. If goth culture had a mascot or a patron saint for protection against high school, Cthulhu wouldn’t encounter much adversity in claiming the title, and not just because of the primal dread. The goth’s love of Cthulhu is strong and unusually plush. There was a time when one couldn’t escape cute, stuffed Cthulhus propped on black shelves and nestled among pillows on velvet-lined beds. 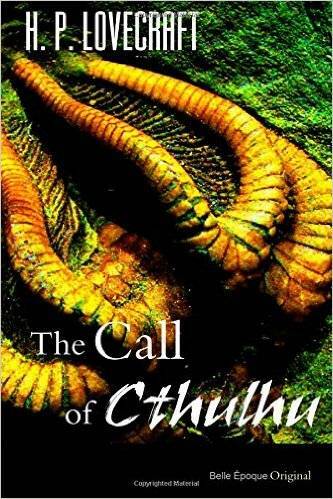 This fictional [stet] character has escaped The Call of Cthulhu to become an icon, which is truly terrifying because I hear he’s not the forgiving sort and I don’t know what he’d think of all that merch. The first book I encountered by Poppy Z. Brite was Exquisite Corpse, but I’m leaving it up to people who are more well read on his work. I borrowed my Brite copy from the same friend who loaned me The Story of O. I was too disturbed to get through it. I did read the summary for Lost Souls and I can’t believe I hadn’t heard more about it. Rocker-looking vampires in New Orleans. Need I say more? Fair warning, I’m suspect that this one, like Exquisite Corpse, is a disturbing piece of work. I bought The Sandman: Volume 1 by Neil Gaiman even though I wasn’t that into comics at the time because I couldn’t escape mentions of the book and had to know what it was all about. 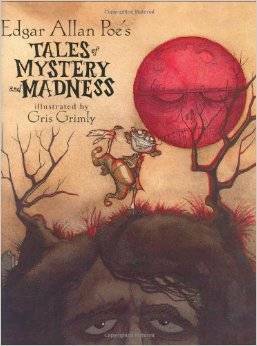 The Gashlycrumb Tinies by Edward Gorey I do and have always loved–can I be called whimsical morbid instead of goth? 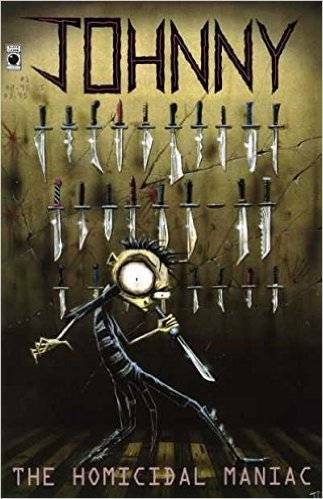 And Johnny the Homicidal Maniac by Jhonen Vasquez (I knew “Invader Zim” before I knew JTHM–don’t judge; they’re both good). The Stranger by Albert Camus, Maldoror and the Complete Works of the Comte de Lautréamont, and The Works of Alfred Lord Tennyson. This by no means ends the list. What’s your goth canon?